Adria Nicole, 40, is a presence — physical, metaphysical, even olfactory. On a bitterly cold night in January, she welcomes me into her office at the Nebula co-working space off Cherokee Street. Her scent is beguiling. Is that…sandalwood? Frankincense maybe? I don’t ask, not yet. As we wend our way through the building to her cozy office in Colony Two, I take in a Basquiat-inspired crown pin adorning her jacket, a silver hamsa necklace and scarf over a T-shirt from the nearby Fortune Teller Bar, and a stack of slim bangles chiming together on her wrist. When we arrive, Adria Nicole’s wife of eight years, Patricia Webb, graciously offers me her seat and then heads off for their home a few blocks away. It’s very possible that you know Adria Nicole, but it’s also very possible that you don’t know the half of what she’s up to. 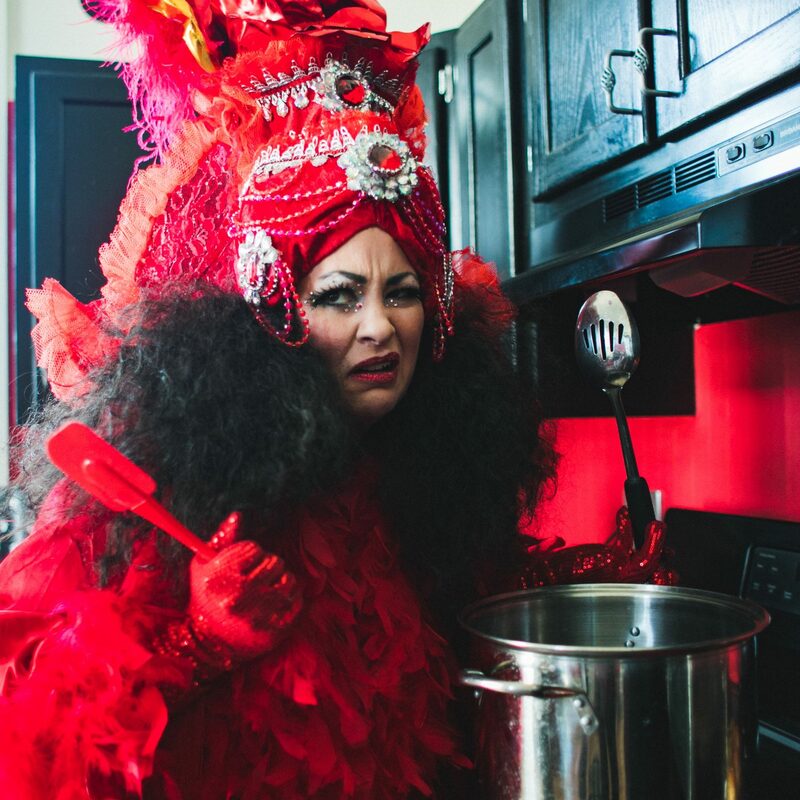 She’s a Cherokee Street renaissance woman, making music and educating girls, capturing her beloved neighbors in art and making luxe body products for the recent apothecary pop-up, Blk Mgk Woman. She does a lot, but she’s discerning as hell about it. “I stopped saying ‘Yes’ to stuff I didn’t have the energy for many years ago,” Adria Nicole says. But she has a lot of energy. Music is Adria Nicole’s first and truest love. Singing, for her, is akin to breathing. She played piano as a kid. There was a brief dalliance with the cello in high school. Guitar seemed the natural next step for a singer-songwriter, but the instrument wasn’t the right fit. Enter a cute little lute from Hawaii: the shrunken-guitar-shaped ukulele. A year after picking it up, she resolved to use the ukulele to empower girls, founding Uke Go Girl in 2012. This annual free nonprofit camp, which serves a half-dozen girls ages ten to sixteen, includes a week of instruction. After camp, the ukes belong to the girls, for keeps. In a way, the program’s first funder was Adria Nicole’s father: After his death, Adria Nicole financed the first camp with the life insurance money she received. Adria Nicole is a St. Louisan by birth, but her family moved around a bit and she spent time in Colorado and California before returning to St. Louis for high school. She went to Ursuline Academy her freshman year, and then to University City High School, her alma mater. The fiercely independent girl with the Valley Girl accent, peasant dresses and Doc Martens didn’t quite fit in. The Regina Georges of the school explained to her that the popular crowd would embrace her if she exerted more effort. She declined. But those she likes (and loves) inspire her and show up in her artwork. Her work defies categorization, looking to nature, history and metaphysics for inspiration. It’s also dense, with elements of collage. 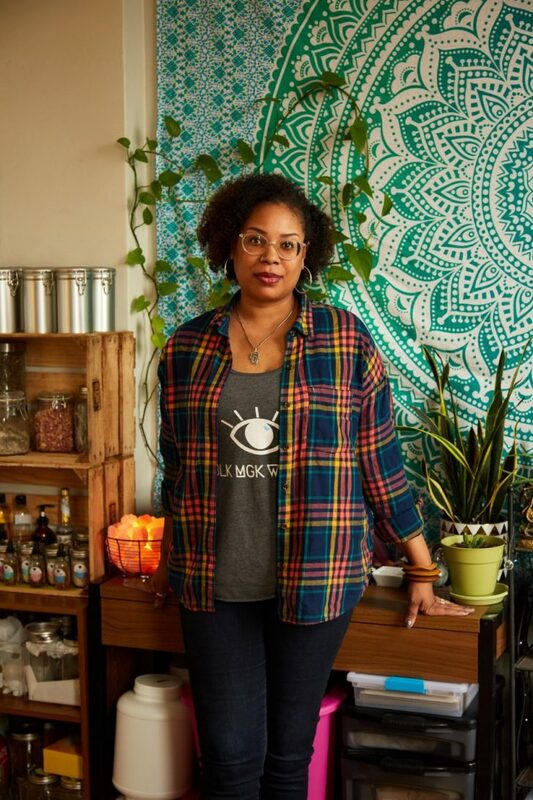 In some works, layers of her photographs of plants and flowers serve as background images for portraits of beloved Cherokee Street people, including her son and daughter, both teenagers. Other works feature paint added to digital images. Butterflies are a recurring element. “When [butterflies] are caterpillars, they don’t know what they’re going to be,” she says. Too often, she says, we misinterpret the time in the chrysalis as just restful suspended animation. She suspects it’s painful. The buzzy term “self-care” figures into Adria Nicole’s motivations to some degree, but she’s really more interested in radical and ceaseless self-love. And all of it is a little bit of practical magic. Her product line, Blk Mgk Woman, can figure into anyone’s personal self-love rituals. 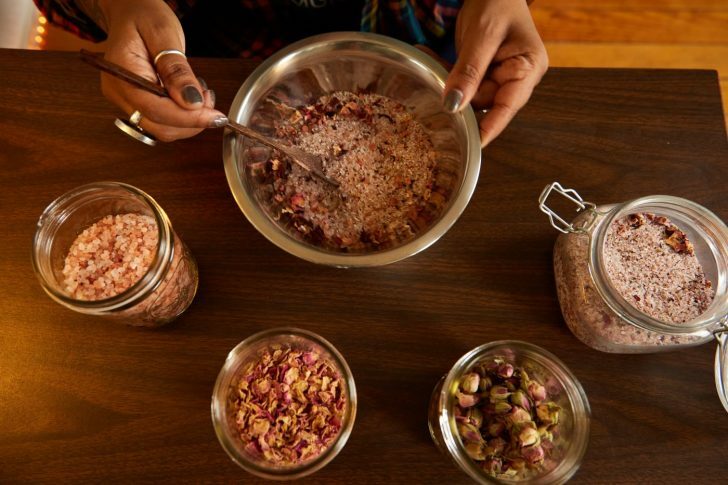 In making oils and bath salts for herself, she realized she could share what she’d made and make a few dollars as well. 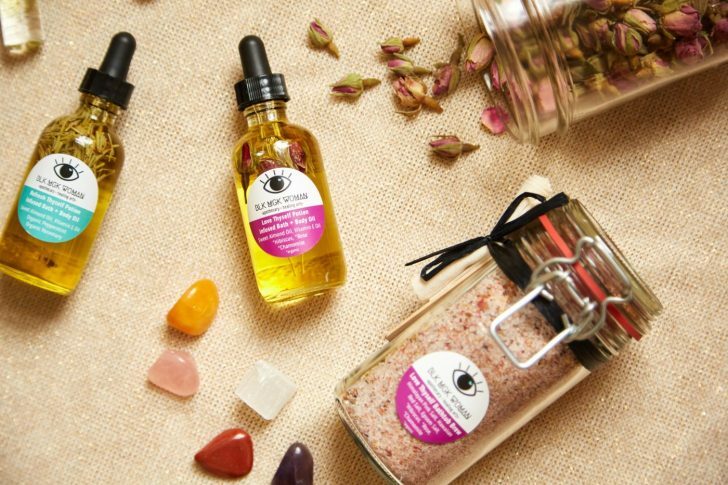 She took batches of everything to sell at Black Owned Black Friday in 2016, and it was a hit — such a hit that she returned in 2017. 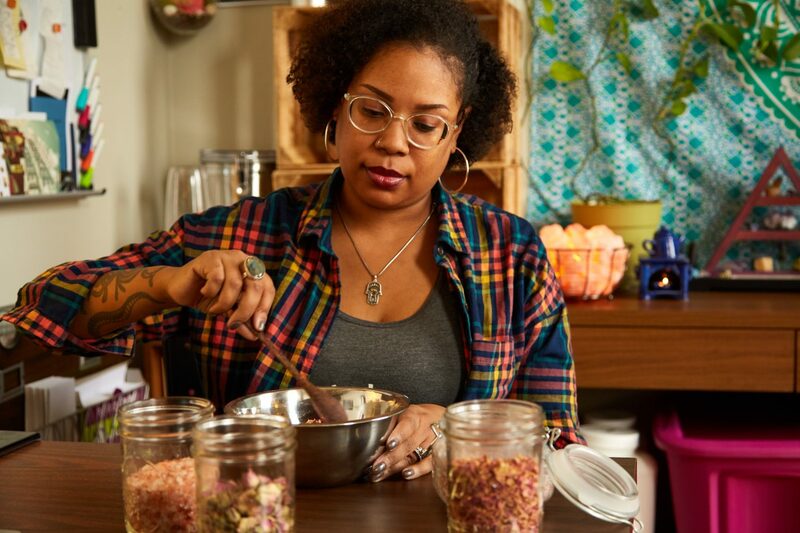 She now runs an online apothecary that regularly sells out, and she brings her products to pop-ups and events as well. 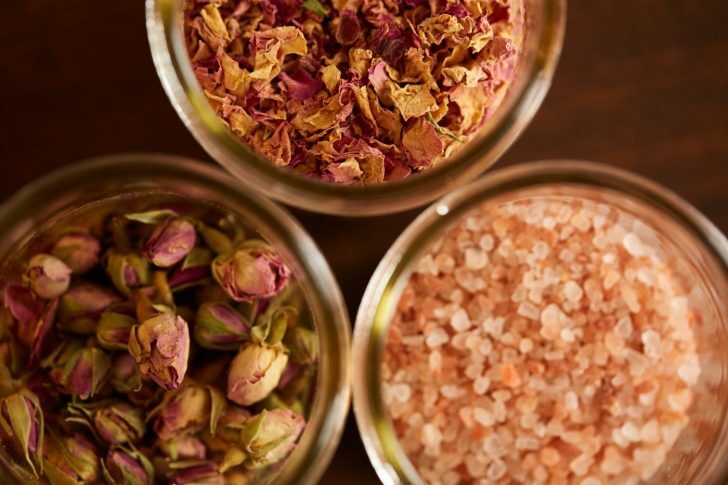 Rather than using essential oils, which are strongly scented but can be harsh, Adria Nicole infuses the oils and bath salts with the herbs themselves. It takes longer, but the results are subtler and more balanced. And about that complex scent she wears: It’s her own blend. The fragrance won’t smell on you like it smells on her. It’ll adapt to your unique body chemistry, and what you’re giving off. It’s the smallest of her small batches, and she makes it only when the moon is new or full. I’ve decided I have to ask. Maybe it’s jasmine? Editors note: Due to an editing error, an earlier version of this story incorrectly split Adria Nicole’s name. Due to a reporting error, Patricia Webb was incorrectly referred to as Patricia Cole. The text has been updated. We regret the errors.